This is a beautiful, antiqued silver trinket box. It's got a gorgeous glass design with an antique-french style. It's elegant design fits perfectly with the colour, combining into one beautiful addition to any home. It'd work perfectly for storing trinkets and jewellery. 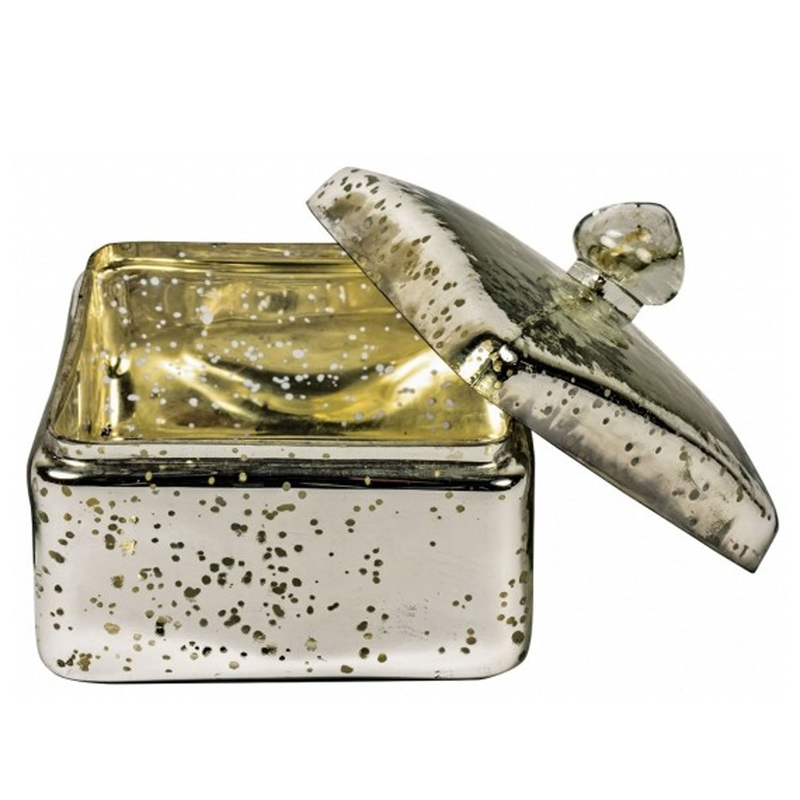 This particular trinket box is a little square which is simplistic yet elegant.